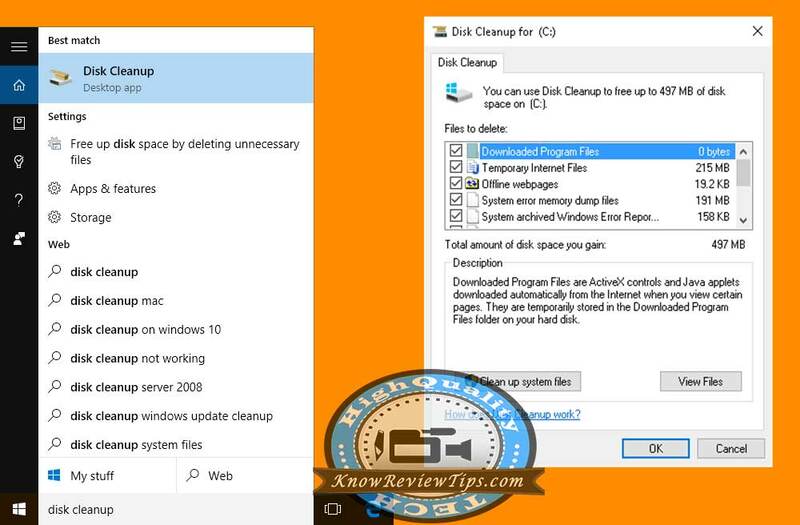 Today we are going to share, “how you can delete temporary unwanted files” in Windows Manually by RUN or Disk Cleanup application. The method the delete Temp files from the computer / laptop is same for Windows 7 , Win 10, 8.1 , XP and Vista. Temporary files are those files which each program on your computer stores to keep the record of app data, cache and cookies. Why should you Delete Temporary files from your computer ? Well the benefits of deleting the Temporary files are many, which includes: getting more free space on your PC SSD / HDD ( C Hard drive space fully occupied), optimizing the computer for better speeds. You will get options to remove System error memory dump files, Temporary files, thumbnails, System queued Windows Error reporting and solution checking, Recycle bin and Temporary internet Files (Internet Explorer). Temporary files are stored in C:\Users\Your PC Name\AppData\Local\Temp , in Temp folder all the temporary files are stored. Before trying this Solution make sure your programs and you don’t need this files anymore. Some programs store this files as cache, so they do need files stored in TEMP folder. This is the shortcut way to delete the files from the Windows. Now Delete the Temporary Files you don’t need any more. Both the solutions should work fine on almost any Windows Operations System (Windows 7, 8, 8.1, Win 10, XP / Vista). You can also use some tool like Krojam Cleaner. It is one great tools that cleans your system of all the junk files.